Still got the Met Gala hangover! For this year's New York Metropolitan Museum of Art, A-list celebrities go all out on not only on their fashion statements but also leaving a mark on their wildest hairstyles and even headpieces. The theme is all about 'Heavenly Bodies: Fashion and the Catholic Imagination'. Of course, there were head-turner hairstyles, crowns, crazy veils, huge and symbolic headpieces, and tons of tiaras. 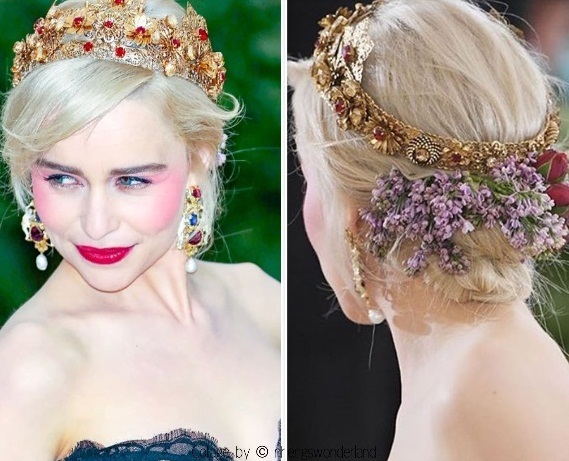 As we always have a blog post about hairstyles, it is so timely to compile a list of my favorite hairstyles & headpieces that for me are the best and stood out from the rest on this year's Met Gala. The 21-year-old gave an unexpected short red sci-fi bob hair partnered with her Joan of the Arc outfit. It showed a badass look as she is modeling a badass feminist in the history. One of my most favorite overall look at the Met Gala this year would be Gigi Hadid. She wore a dress that is much like a stained glass art. Her hair is simply effortless with a lot of volumes and was accented with gold pins on each side. I'll say the most beautiful braid at the Met Gala was worn by Jasmin Sanders. Her look was all glam, fashion, and fairytale worthy. Just look at her long golden braided hair intertwined with red roses. Achieving this look will be quite difficult but we all know that celebrities like her used Brazilian hair for longer and thicker hair. A simple yet elegant look, Amanda Seyfried donned a curly blonde hair accented with a golden tiara crown from Prada which complements her romantic Rennaissance golden gown. Want to achieve this look but have a dark hair color? 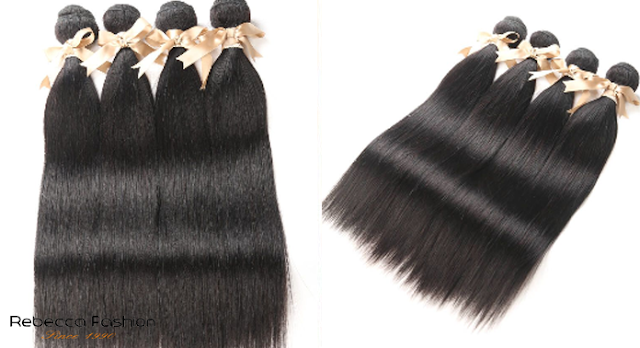 You can simply use a hair bundle with closure to try a completely different color and texture from your natural hair and if you want to protect the edges of your hair if you decide to have a blonde hair color. The Queen Mother of the Dragons really knows how to take risks not just on having pinky blush but wearing braids on a messy way. A different take from her famous braids on Game of Thrones. This time she wore it with a crown and fresh flowers. Another favorite who definitely stole the Met Gala is none other than Blake Lively. Her Versace maroon and gold jewel-encrusted gown reportedly took over 600 hours to make! The dress was definitely the inspiration on Blake's hair as per her hairstylist. The loose updo was perfect for the golden thorny headpiece. You'll be surprised that Amber Heard's headband was made of zip ties (cable ties). It was handmade and hand painted. It does only mean that your look doesn't have to be so expensive. Sleek and stylish knotted bun with the addition of a golden halo headpiece. Truly, she looks like an angel. Lily Collins goes dark and dramatic with her look at Met Gala. She wore a metal headdress adorned with elaborate braids that were tight into a bun. Rita Ora makes an entrance with her gothic princess look. She wore an enormous black headdress that features black roses, spikes, and a cross. It did not disappoint and her long blonde hair also added to the dramatic look. She is known for wearing a wig as she wore one last year's, Met Gala. Her hair looks incredibly long and beautiful that even you can pull off. 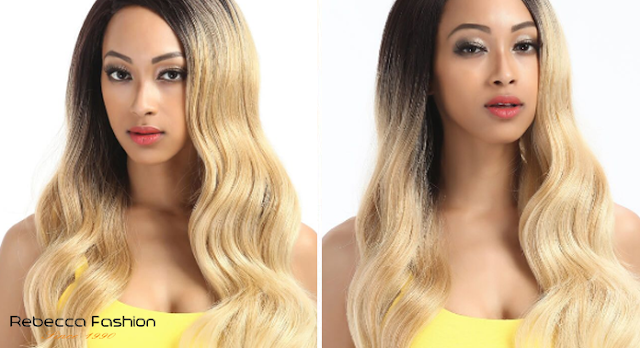 Check various hair extensions from rebeccafashion to achieve this same look as well as other hairstyles listed on this post. What is your best hairstyles and headpieces from the recent Met Gala? Would you like me to talk about my Met Gala 2018 best dressed too? Share on the comments below.